Welcome to Zebra's Tots. I have been married to my husband for 13 years. I have two sons aged 12 and 6 who I totally adore. I decided to fulfil my ambition and go into the field of childcare which I am very passionate about. This was after working in the City of London in the finance sector for 12 long years. In terms of struggles that parents go through trying to juggle work and life. I've experienced this first hand so I completely understand and will do my very best to be as flexible as I can in regards to your childcare needs. I am also able to spend more time with my boys which is a huge added bonus. Everyday is guaranteed to be filled with fun, happiness, laughter and loving care. I live in Basildon, Lee Chapel North. I am 5 minutes walk from Janet Duke Primary School. My garden is very child friendly with lots of age appropriate activities. The main play area is a dedicated conservatory purely used as a nursery which is bright colourful and filled with toys and lots more exciting things! I enjoy every moment of being in the company of the children. As my mum and sister are also childminders and also own a day nursery, I have grown up in a childminding home. I have a broad knowledge, understanding and experience of childcare. All children are treated as one of the family in our home. Lots of fun and laughter is guaranteed in our home. Activities daily such as arts and crafts, cooking with all children who get to take samples home for mum/dad/carer or siblings. We also visit parks and play games indoors and outdoors. I also cater for children who have food allergies i.e. Wheat, dairy or celiac etc... I work very closely alongside parents, taking into account every child's dietary needs. Weekly tasting sessions are now being introduced encouraging the children to sample different fruits/vegetables as part of healthy eating. Photographs are taken whilst children learn (with parents/permission & consent) these will form part of the child's learning journey folder which parents will keep once completed. Also parents are provided with a daily contact book stating the activities their child have completed that day, the food they ate, the times they slept etc.. This will give parents a full 'picture' of their child's day. OFSTED INSPECTION OCTOBER 2015. AWARDED GOOD!! Full time childcare from birth upwards. Both Term time and holidays are available. Weekend care currently unavailable . I can currently drop off and collect from Janet Duke Primary School & Phoenix Primary School. Please contact for available spaces and further information. All Meals (Breakfast, Lunch & Dinner) are included in my fees throughout the day plus mid morning and mid afternoon snacks. 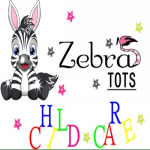 Below are the latest reviews for Zebras Tots. Please note that reviews represent the subjective opinions of other Childcare.co.uk users and not of Childcare.co.uk. Parents must carry out their own checks and references on childcare providers to ensure that they are completely happy before enaging in the use of their services. OUTSTANDING Childminder who goes above & beyond! Zehra is an OUTSTANDING childminder. I can not fault her at all. My son has taken to Zehra so well since starting full time in September. She has a firm but fair manner & the children respect her & enjoy being with her. My son tells me he ‘loves her’!. Her house is spotless - she disinfects everything (unlike some nurseries )! The food is good & the kids get generous portions which is important if your child is a big eater like mine! My son has Eczema & she handles that so well always the first to notice if he’s having a flare up. She is always reliable and always contactable. Christmas, Easter, Halloween- whatever the occasion she goes all out dressing up & doing activities for the kids so even though you are at work the kids don’t miss out. Even when she goes away she’s always thinking of her tots & brings them back treats. Having been a working parent Zehra understands the pressure of working & the guilt that mums can feel & does her best to support you. Thank you Zehra, we love you. my daughter Emily has been coming to zehra for nearly 2 years now. this lady goes above and beyond for the children and always makes that little bit extra effort to make them feel at ease. Emily loves going here and always gets excited. i really think Emily coming here has made her more confident and sociable! Zehra has become not only emilys childminder but a great family friend now. My toddler attended Zebras tots for nine months and only stopped because I no longer work full time. He enjoyed going there every time and I was very confident that he would be well looked after. Zehra is great with the children and very organised and efficient in everything she does, as well as keeping parents well informed. My son especially enjoyed playing in the garden and there's a good selection of toys inside. All in all very much recommended! I would like to take this opportunity to thanks Zehra for the fantastic childcare she provided for my 2 sons.She was looking after my 3 year old son once a week and my 9 year old son on school halfterms. She was always reliable, professional , caring and always lots of fun. Children loved spending time with her, coming back home with lovely pictures they have created. As I was workinh full time in hospital there were days when I needed to drop them quite early and pick them up late and she was always helpful in that. I cannot stress enough how I would not hesitate to recommend Zehra, I would have 100% confidence that she would be able to offer any child in her care everything that is required and more. Being new to the area and being my first time leaving my boy with a childminder, Zehra was so welcoming the first time I met her. She has a really pleasant disposition and truly cares about the kids. Zehra has been amazing with my boy. He has began to talk more, he eats better, he is more active and he always tells me he had a good time at Zehra's. She gives me regular updates and feedbacks so I know my boy is fine. I am happy I decided to stay at Zebra tots. It is a warm, friendly and homely place. I will recommend her over and over again to anyone looking for a childminder.